Six weeks prior to graduation, 9 girls from the Class of 1967 in Juda, WI lost their lives when a DC-8 on a training flight at the New Orleans International Airport crashed into the Hilton Hotel where they were staying. Their class had worked for four years to save enough money for their senior class trip, and they chose New Orleans. Tragically, these girls never had a chance to make it out of the hotel and are now known as the Nine Angels. 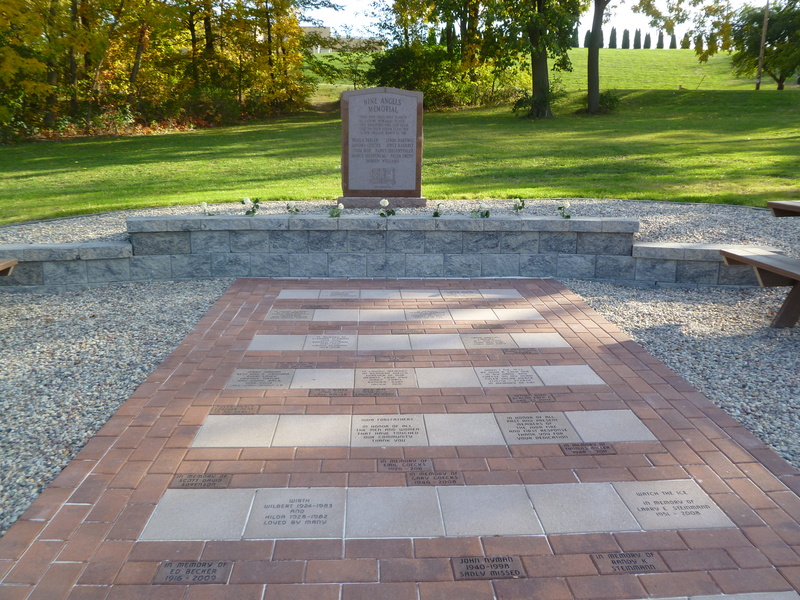 This memorial was built to forever recognize and honor these 9 young ladies that never made it back home. Sheila Babler, Sandra Goecks, Linda Hartwig, Joyce Kaderly, Linda Moe, Janice Siedschlag, Nancy Siedschlag, Nelva Smith and Doreen Williams. The original memorial and 9 evergreen trees planted for the Nine Angels Memorial had fallen victim to the ravages of time. The Juda Fore Fathers went to each of the Nine Angels families to ask for their permission to replace trees and construct this memorial. 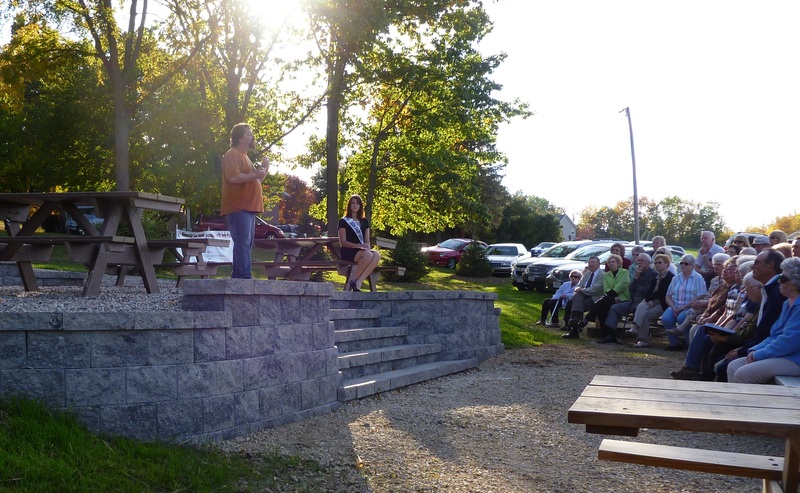 Work on the memorial began in 2012 on the south side of the Juda Community Park. 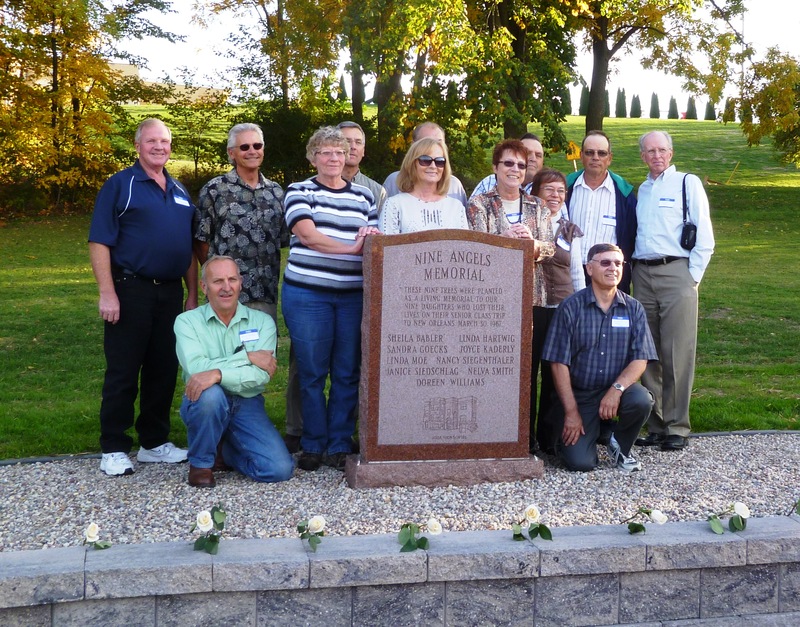 Here is the memorial stone with the names of the Nine Angels with the surviving classmates of 1967 surrounding it. There is 9 white roses laid in front of them, one for each of the girls lost in that tragic accident in 1967. This is the area that has engraved memorial paving stones that can be purchased and placed at this site in memory of a loved one. 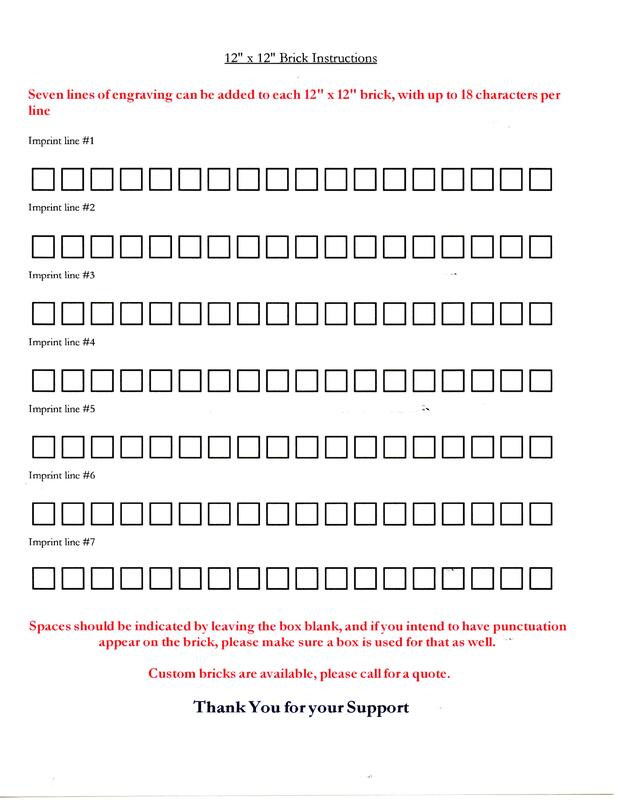 Right click to save or print order form. 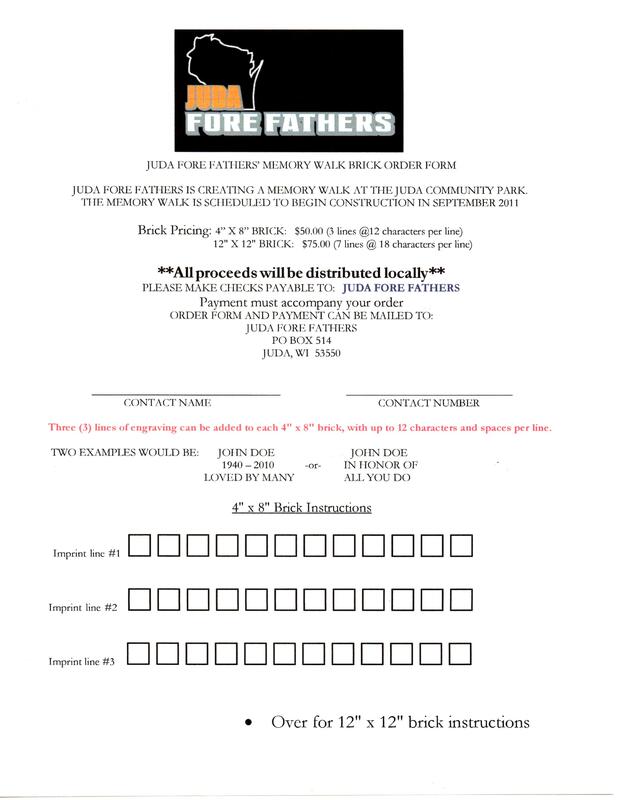 Mail order form and check to address listed on the order form. The brick will be engraved and placed in the memorial in groups. Two sizes are available 4" x 8" and 12" x 12" brick that will hold more text. 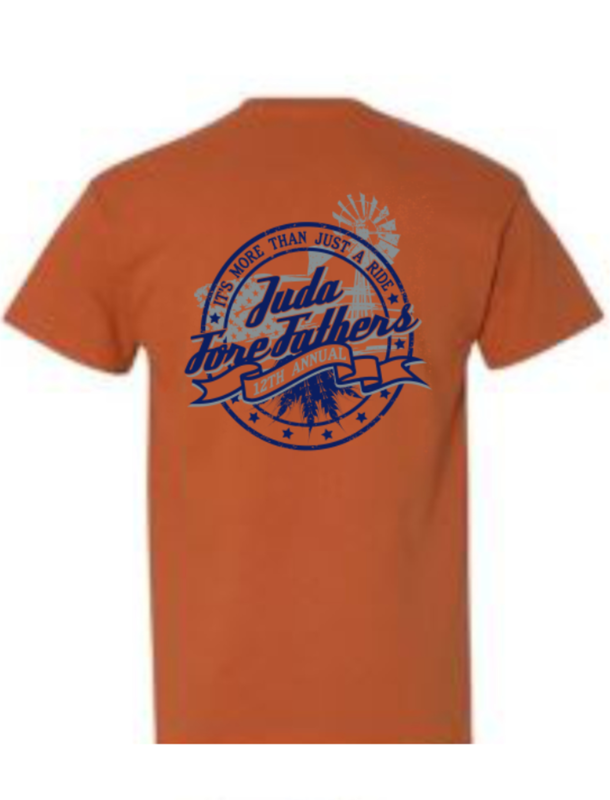 Unite area communities and raise funds for community projects, community youth, and persons or organizations in need, in the memory of our community fore fathers. 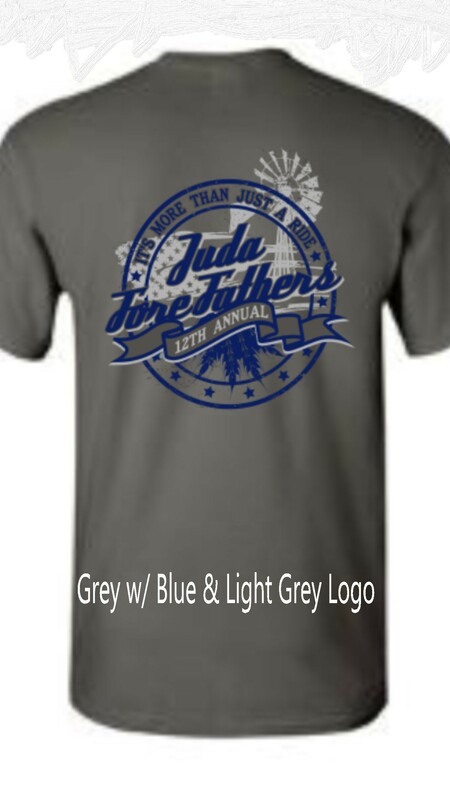 Connect with Juda Fore Fathers on Facebook. Choose your color and size choices. You can use PayPal, a debit or credit card. If you would like to join us in helping area communities and Green County charities, simply click on the Donate button below and indicate your contribution amount. 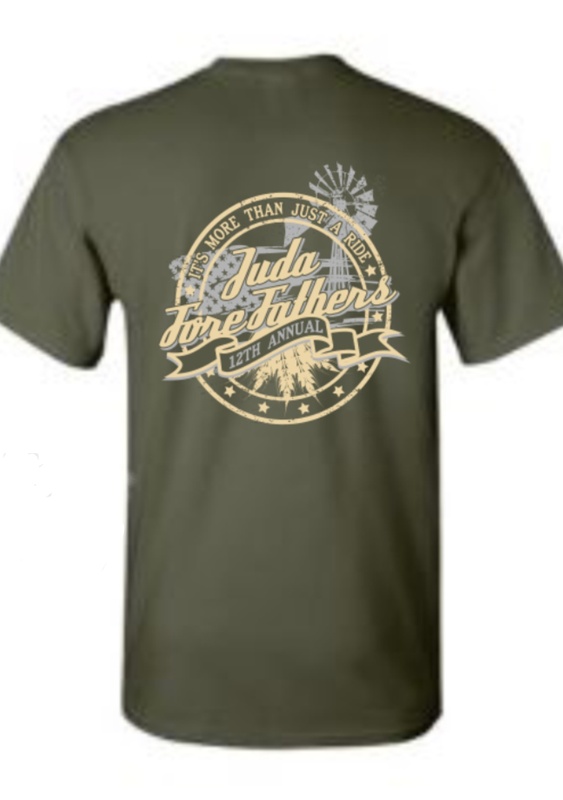 © Juda Fore Fathers "People helping people"